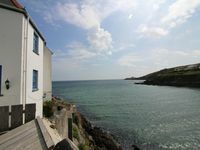 Property 24: Immaculate and cosy, in a perfect location to explore Cornwall. Listed Georgian 4 bedroom cottage to sleep 8 people. Ideal for families. Property 36: Listed Georgian 4 bedroom cottage to sleep 8 people. Ideal for families. Property 39: 2 bed Cornish cottage with panoramic views of St Austell Bay. Golf on doorstep. Property 40: NEW FOR SUMMER 2018! 5 min walk to the beach, village setting. Garden Cottage, A Pretty Retreat, Perfect For A Couple Or 2 adults + 2 kids. Property 46: Garden Cottage, A Pretty Retreat, Perfect For A Couple Or 2 adults + 2 kids. Luxury Barn Conversion in Tranquil Village. Ideal Location for both Coasts. Property 47: Luxury Barn Conversion in Tranquil Village. Ideal Location for both Coasts. Property 48: Luxury bungalow with outstanding countryside views. Ideal romantic getaway.